We’re excited to announce that the next generation of Classy Peer-to-Peer is now in Beta, the home stretch of user testing. The upgraded campaign is now available to all Classy users. Matt Lackey is the product manager for the new Fundraising Suite. That means he oversees improvements and changes made to campaign types on the platform. Like for Crowdfunding before it, Matt’s team looked at fundraising microsites and interviewed clients who consistently run top-notch peer-to-peer campaigns and year-round programs to identify how to make peer-to-peer more accessible and successful for all nonprofits. Matt chatted with clients at the Collaborative, our social impact conference in Boston, in June. “This has been one of the most customer-involved projects that Classy has taken on. Nonprofits rely on Classy not only to highlight their brand, but also to provide their donors and fundraisers with the best experience possible. That’s why it was important to receive so much feedback from our clients. Here are two favorite core features to look forward to that will make life easier (and more fun) for both campaign managers and fundraisers. You can create a living, breathing campaign page without hosting a custom campaign microsite or hiring an experienced web developer. 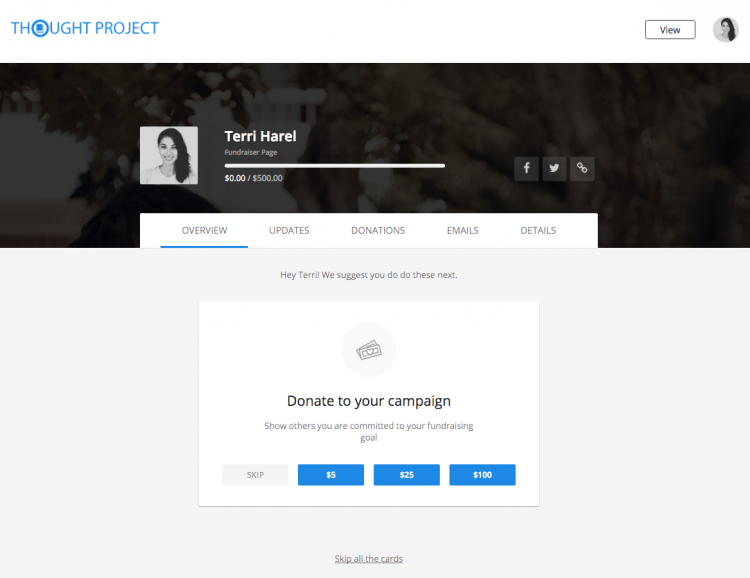 The campaign landing page is a major piece of Crowdfunding on Classy, but the fundraiser and team aspects of peer-to-peer introduces another layer of complexity when it comes to customization. One of the most prominent features of peer-to-peer microsites is fundraiser leaderboards. Until now, adding a fundraiser leaderboard to your campaign microsite required knowledge of the Classy API to pull data from your Classy Campaign Dashboard. This isn’t always an option for resource-strapped organizations or those without a web developer. We knew that if we wanted to make high-quality peer-to-peer campaigns accessible to all nonprofits, leaderboards had to be easy. With the new Peer-to-Peer campaign page, the feature comes standard. You simply toggle leaderboard options on or off. Peer-to-Peer fundraising can be a big undertaking. It requires time and dedication to those individuals who are raising money on your behalf. Becoming an expert fundraiser isn’t easy for anyone, let alone someone who has never done it before. Matt’s team focused a lot time of time and energy into improving the process. 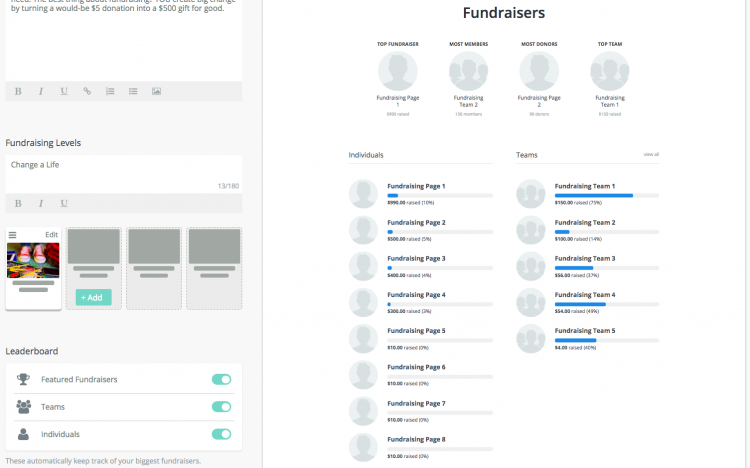 Now, the new Peer-to-Peer campaign comes with a Fundraiser Dashboard that onboards and coaches individuals through the basics of online fundraising. The heavy lifting a campaign manager or development associate does to educate peer-to-peer fundraisers on fundraising basics now comes from directly within the Fundraiser Dashboard. Here, the Fundraiser Dashboard encourages me to donate to my campaign to get some momentum. Similarly, encouraging and coaching fundraisers throughout a campaign, like sending a peer-to-peer fundraising email to an individual who hit half their goal, would often be a time-consuming manual process. Jennipher Wilson, the product manager for Classy’s email functionality, is automating that process. Now, anyone can apply this best practice with Milestone Emails without almost no effort. 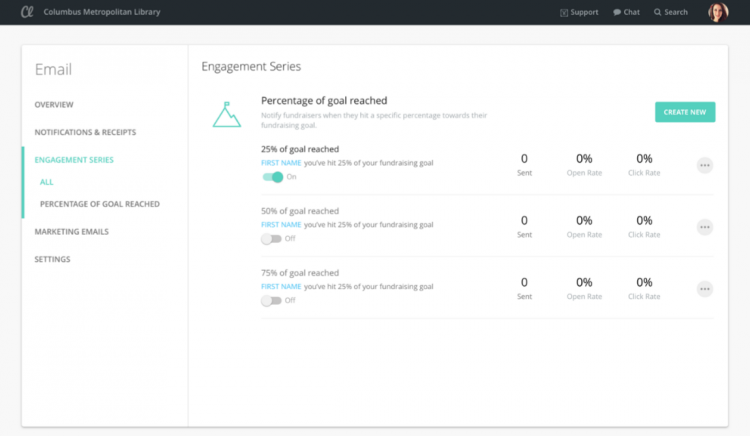 Simply enter at what percentage of goal you’d like the email to fire off, customize the email’s branding and text, and off it will go as fundraisers reach the milestones you’ve set for them. Time saved. Fundraisers coached and celebrated. Why Nonprofits Are Excited About It: Automated fundraiser support features are the biggest value add for the new Peer-to-Peer. 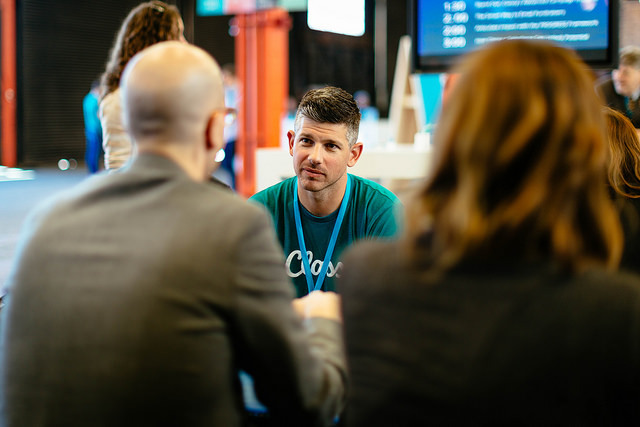 “Not only will this save time since both [the automated support and milestone emails] happen automatically, but it promotes best practices that will lead to more activated and successful fundraisers,” says Matt. To try the latest features, check out Classy’s new Peer-to-Peer campaign for yourself. Or, if you’re not yet a Classy nonprofit and would like a personalized demo of Classy’s Peer-to-Peer and more, get in touch with us.